The mouth is curved outward, the black glaze applied with deliberate irregularity around the mouth and the area of the body to show the red clay texture underneath. It is representative of Kôetsu's tea bowl. The bowl is deformed in oval shape, the mouth beveled inward on one side and re-curved on the other side. 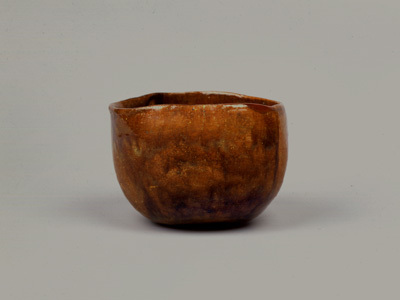 It represents Kôetsu's spontaneous approach to the modeling of a tea bowl. 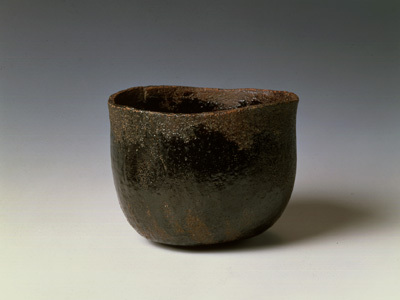 It has a similar style to his red Raku tea bowl named “Otogoze” (Important Cultural Property). This is a letter written by Kôetsu to Raku Jôkei to request some clay for his tea bowls. 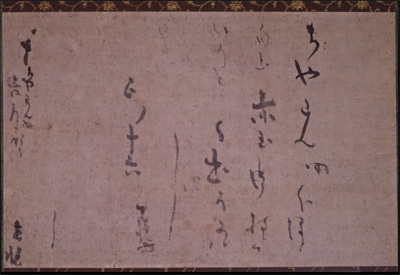 The text is short and simple, evidently showing a certain intimacy between Kôetsu and the Raku family.